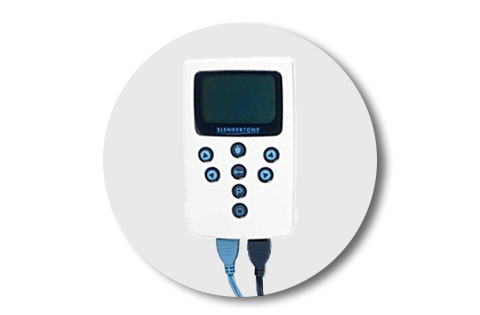 What is an electric muscle stimulator? 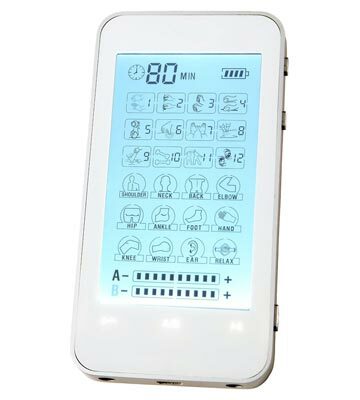 An electric muscle stimulator (often referred to as an EMS machine or unit) is an electronic device used to deliver electrical impulses to the body, in order to make the muscles contract. 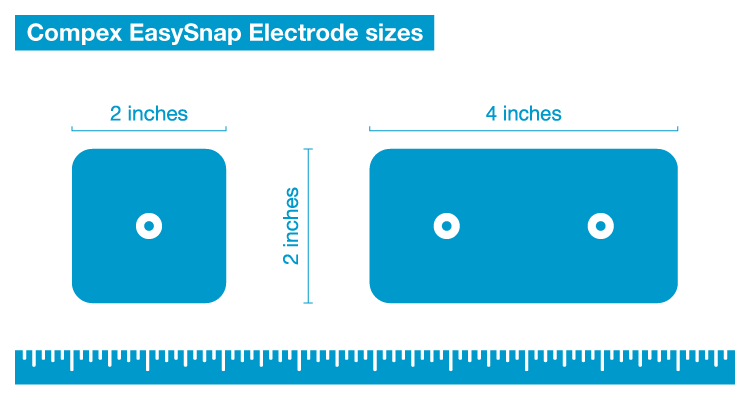 Impulses are sent from the device to a series of electrodes (usually adhesive pads), which are placed on the skin, over the muscles being targeted. The impulses mimic the action potential coming from the central nervous system, causing the muscles to contract. Confused About The Difference Between EMS And TENS? Many people confuse EMS with transcutaneous electrical nerve stimulation (TENS). While EMS and TENS units can look almost identical, the two have completely different purposes so it’s imperative that you choose the correct type of device. The Food and Drug Administration (FDA) regulates the sale of electric muscle stimulators in the USA. All of the EMS units on this page have been cleared by the FDA. What do people use electric muscle stimulators for? Training – power, endurance, strength, size, etc. 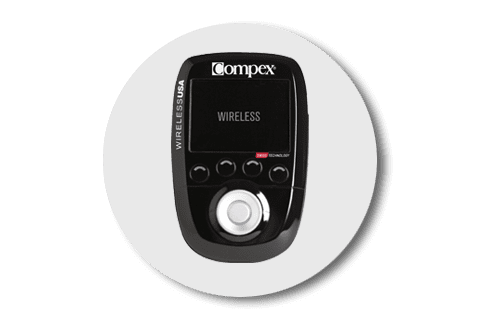 Compex Wireless USA is the first and only FDA-cleared wireless muscle stimulator device. I own a Compex Muscle Stimulator myself and originally bought it to help strengthen my quadriceps, in preparation for skiing. When I was younger I had some cartilage removed from my knee – I had big problems with it before the surgery – and have done since. I don’t think I ever did the right rehabilitation. There’s only so much I can do with leg weights, due to a knee injury I sustained in the past. More recently, I’ve worked with a physical therapist who advised me to strengthen the muscles in my legs, particularly the quadriceps. I needed to make the muscles stronger and reduce the strain on the knee joint. I’d always convinced myself that I had a dodgy knee and there was nothing much I could do about it… how wrong I was. At first I didn’t take much notice to what the physical therapist had said about my quadriceps. It’s not that I didn’t want to exercise or put the effort in. Is with impact. I love running – but unfortunately, my knees just can’t take it. I can manage to cycle but if it’s really intense my knee can become a bit problematic – and there’s only so much I can do with leg weights. So I took it upon myself to do some research and found out about EMS and how it could be used to help build muscle. 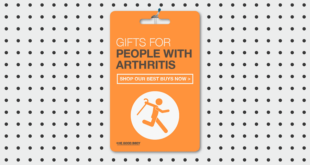 I liked the idea of it, especially because there is virtually no strain on the joints. 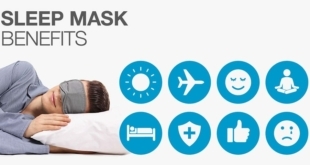 I then decided to search for the best EMS machine, based on personal requirements. 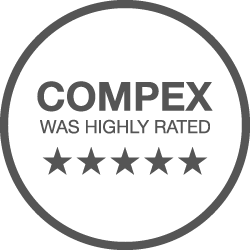 After looking into a number of different devices, I discovered the highly rated Compex brand. Their devices looked great and consumer reviews were strong. I compared their range of units and decided I wanted the top-of-the-line device with the most programs! It didn’t take me long to convince myself that I’d make use of all the programs. It’s a good job I did in the end because the two programs I now use most are for recovery and massage, (I’ll come onto recovery). 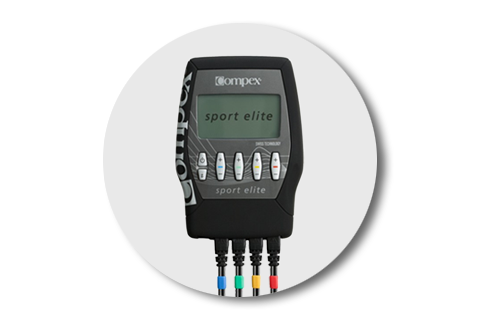 Each of the Compex devices above has 4 channels – you can use a minimum of 2 pads – and a maximum of 8 at a time. All 4 channels have their own independent intensity controls. Once my machine arrived, I started combining the EMS training (once a day) with walking and cycling – and found the results to be very impressive. I could see and feel the quadriceps growing and strengthening. I worked on this for three months in the buildup to skiing and it’s the best preparation I’ve ever done. I follow the same routine now before every ski trip. In 2008, Dr. Thierry Paillard’s study found EMS to be most effective when used as a complimentary technique, along with voluntary muscle contraction (VC) in specific sports training or rehabilitation. The research saw better results achieved by combining VC and EMS, rather than a program consisting of either VC or EMS on its own. As well as using it for strengthening my quadriceps I’ve found it useful for other things. 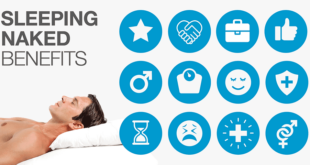 The recovery programs are amazing – it almost feels like cheating! (Of course, that isn’t the case.) You run them after exercise and they increase blood flow and promote muscle relaxation, to help with the recovery. I’ve not found any other technique or amount of stretching that can match it. In my opinion, it’s the best way to avoid cramp! It may even be more effective than a sports massage in this situation. Going forward, the next EMS training for me is going to be for the abdominal muscles. 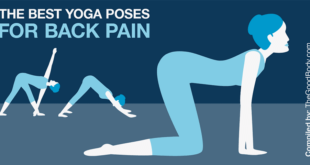 I’m looking to do this to help counter back pain, that’s caused from spending (way) too long at my desk. Just recently I’ve realized how much benefit strong abs have to preventing and reducing pain in the back. My abs have been getting stronger through other exercise – and as I’ve done with my quadriceps, I intend to utilize my EMS device in combination with an exercise plan and good diet. I’m planning on using EMS on my abdominal muscles – this will contribute towards building a stronger core. I’m optimistic that it’s going to have an equally positive impact! Note: If you’re considering an EMS unit solely for use on abdominal muscles you may like to take a look at ab belts. One thing I’ve (surprisingly) never used my device for is warming up. There’s a program designed to increase blood flow and oxygenate the muscles prior to a workout. I’m tempted to try this sometime soon, I think it could be especially useful before going out and exercising in cold weather. Looked into the use of EMS as a recovery tool for baseball pitchers. The study revelaed that EMS may benefit pitching performance by aiding the recovery process. It stated this could potentially: reduce some injuries, enable the pitcher to throw more pitches each game, and mean less days are required between pitching appearances. For more details about that study, visit the Journal of Strength and Conditioning Research website. You can see on the backlit display that my device took just over an hour and 20 minutes to charge fully. It usually takes this about this long – give or take 5 minutes. One charge lasts absolutely ages on these things! Your main running cost with one of these machines is the electrodes (pads). I’ve found that I can get far more uses out of a set of electrodes than Compex recommends. I’m sure there are good arguments for replacing them more regularly – but if I can get more wear out of them, it costs me less to run. I don’t see the need to replace them if they still adhere well and perform properly. The other thing to consider is batteries, that is if your EMS unit isn’t rechargeable. For battery operated devices I would recommend reading some user reviews and see if you can gauge how much use you can get out of a set. The last thing I would want is to get a machine that drains batteries. If you’re using it regularly the cost of replacements can soon rack up. If you get a rechargeable device you won’t have the hassle or added expense of replacing batteries. 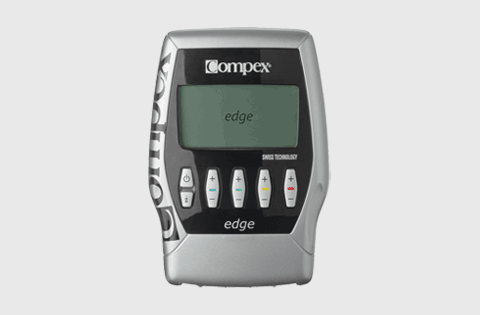 I am a big fan of Compex and have found my device to highly beneficial – but I do realize they’re at the top end of the market. If your budget doesn’t stretch that far there are some other options that have been rated highly. Our community is no stranger to Slendertone. If you’ve been reading some other articles on the site you may have come across this electrical muscle stimulation brand already? Slendertone is best-known for its ab toning belts (read about them here). They’re one of the market leaders for that particular type of EMS product, and are the company behind the popular Flex Belt. The ReVive Professional Muscle Conditioner is a dual channel EMS machine with 6 different programs for muscle recovery and relaxation. One of the programs is for exercise preparation, with two for muscle performance improvement: Build Endurance and Build Strength. 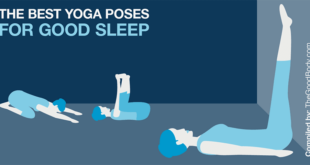 The other 3 are Active Recovery 1,2,3 – created to aid recovery following exercise. One thing that I like – and strikes me straight away – is the size and design of the pads. 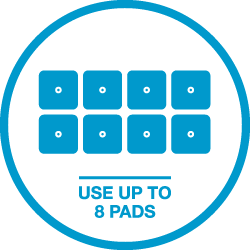 They’re like two pads in one, which means it’s simpler and quicker to place them on your body. This might not sound like such a big deal but it certainly does make the job easier. A slight downside with this device is that it’s not rechargeable. I did however do some further research and it sounds like it’s really good on the battery, which is a major plus point. 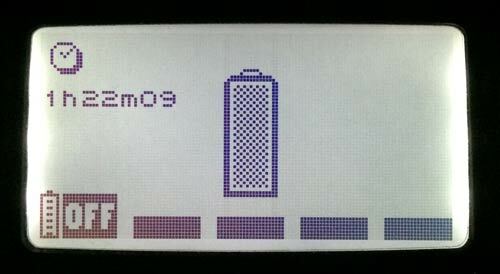 I also noticed there’s a battery level indicator so you get advanced warning of when it’s running out of juice. All things considered, it has a very decent feature set – for a reasonable price. It’s not a smartphone or small tablet computer! However it is a touch screen operated TENS EMS combination unit. 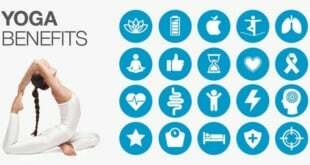 New for 2015, HealthmateForever’s T24AB is a clever little device with a massive 24 programs to choose from. 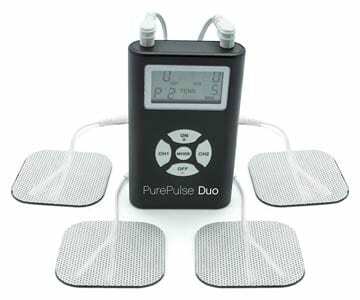 An all round electrotherapy machine geared up for a bit of muscle building, relaxation and pain relief. Some of the massage programs are: Acupuncture, Tapping, Back Pain, Deep Tissue Massage and Body Building. But the really innovative thing here isn’t the touch screen, rechargeable lithium battery or number of programs – it’s the isolated channels. This enables you to run two different programs at the same time, one in each channel! I’ve only ever come across machines where you can adjust the intensity for each channel, not the program. This is a real standout and highly unique feature. 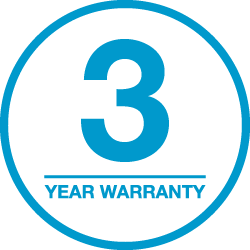 Worth noting: this machine comes with a limited lifetime warranty, when purchased in the USA or Canada. Nothing like that extra peace of mind when buying an electronic product! 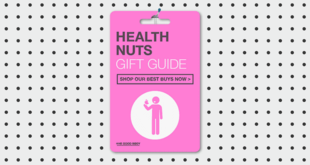 If you’d like to find out more about HealthmateForever, read this post. PureEnrichment is a company that’s been around for a while now and manufactures a range of home, health and personal care products. Their latest electrotherapy device is a compact, pocket-sized machine that can be used to for pain relief as well as muscle stimulation. This neat PurePulse Duo EMS & TENS system boasts an impressive 14 preset programs, in total. What I really like about the unit is the balance between EMS and TENS. 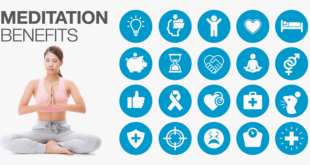 6 of its 8 programs are for exercise preparation, muscle strengthening and recovery work, while the other 8 programs are designed to treat both chronic and acute pain. If I’m being picky, I could point out that it’s not rechargeable. This however would be quite harsh, especially when considering how good battery life appears to be. The manufacturer has packed a lot of features into this machine – and in doing so – has created a genuinely multifunctional product, for an extremely competitive price. This machine may look familiar to some? That’s because it’s part of the Current Solutions brand and has the exact same casing as their TENS 7000 device. You could be excused for mistaking it for that very TENS unit. 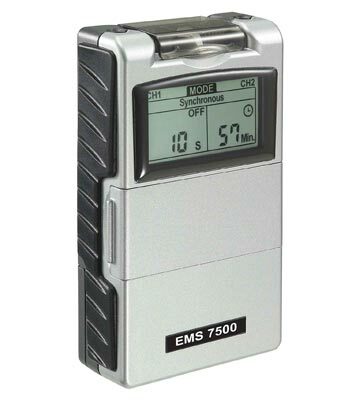 Like TENS 7000, EMS 7500 is all about user input. 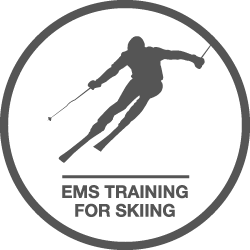 Unlike the other EMS units on this page, it doesn’t have preset programs specifically for recovery, warmup, strengthening, etc. It requires you to set various parameters, such as ramp time, pulse width and pulse rate. In my TENS 7000 review I talked about how it’s best suited to somebody who is willing to spend some time learning the device. The same applies to this machine, although I believe even more knowledge is required for EMS, especially if you intend to use it for different purposes. Configuring the settings could get a little complicated for some. I’d say it’s worth a look if you understand the technicalities of electric muscle stimulation – or are really willing to put time and effort into it. Otherwise, this might not be the best EMS machine for you. You’d be better served by a device with built in programs – it’ll make your life a lot easier! Can anybody use an electric muscle stimulator? The EMS units on this page are all available over the counter (OTC), without a prescription. There are, however, a few cases where they should not be used. It is important that you check the suitability before purchasing or using one. For example, you certainly can’t use EMS if you have an electronic implant like a cardiac pacemaker or defibrillator. Always make sure you check the list of exclusions prior to use. Anybody who is unsure should seek professional medical advice. Next Slendertone Connect Abs Review: Turbo-Charged Toning (In 6 Weeks)? 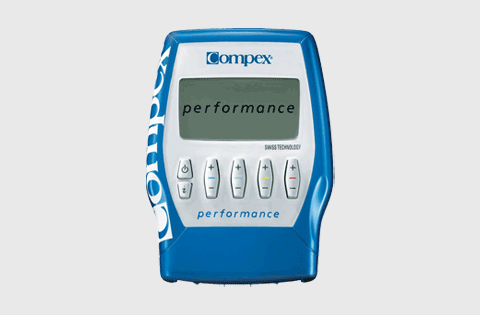 So what would be a better choice in units the compex sports plus or the healthmateforever t24ab?? It would depend on what you intend to use the device for? I don’t think there’s a metric or way to measure or compare devices like-for-like with that. My suggestion would be to look at the machines and see which have the best selection of programs for building muscle. That way you can find something that has more than one program for muscle building, which would enable you to vary your EMS sessions if you wanted. You could then decide how much you want to spend and make a shortlist, before deciding. 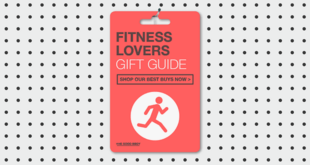 What is the difference between Slendertone S5 professional muscle stimulator conditioner unit and the Slendertone professional muscle conditioner unit. *The Slendertone brand belongs to BMR, a specialist company that develops, manufactures and markets medical products. I am requiring a high strength muscle stimulator as I have scoliosis and need a deep, powerful machine and large pads. I have a TENS machine but it’s not strong enough on my back. Would the EMS be stronger as I want muscle contractions. Can you help with this? Thank you. EMS machines are designed to make the muscles contract – so yes, it does sound like this is what you’re looking for. While you may find that your TENS unit (on high power) makes the muscles twitch, it’s not designed for this and the programs / modes have not been developed to work muscles. I’d like to try EMS for my abs and see the FlexBelt gets good reviews all over the world. However, that’s only usable on the abs. I also get want something for shoulder and elbow rehab and pain, which I think could benefit from some EMS. Even better if I were to go with a TENS/EMS combo. But my main question is, for abdominal toning, can an EMS device with pads do just as good a job as the FlexBelt? Other EMS devices will still work your muscles by causing them to contract. Some have more channels (and pads) than others and will give you more options for pad placement and working more muscles. 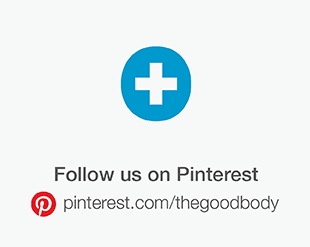 So you are certainly able to use them on your abs. For abdominal toning, the Flex Belt has a couple of clear advantages over other EMS units: convenience – the pads are pre-positioned on the belt which makes it simpler and faster to get going, and it has 10 programs that have been designed exclusively for use on the abs and obliques. It’s one of those situations where I believe you may have to prioritize to get the optimal solution. Obviously, you could consider two separate machines – but it depends on how much you’re looking to spend. I have had a lot of trouble with my right knee. My patella is not tracking in the right position due to severe muscle wastage around my inner quad. I have had physio and I was able to strenghen this muscle a little but not as much as I need to. 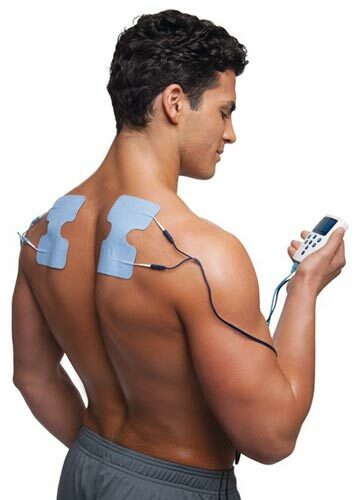 I think that an electrical muscle stimulator would help a great deal. Which one can anyone recomend. 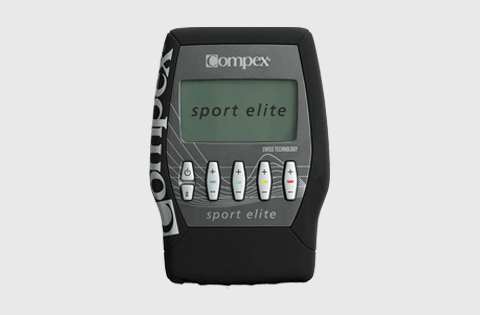 From reading the article, you’ll know I use a Compex device and think it’s an excellent piece of kit. I haven’t used the Slendertone ReVive myself but do own another of their products and have found it to be of high quality and easy to use. I know that particular Slendertone machine has received good reviews and is competitively priced, especially when considering its feature set.